1.Please remove the cover and the protective film of the printhead before installation. 2.Use the printer automatic cleaning function to clean the printhead 2 to 3 times . 3.We have our own production workshop and R & D department, printhead with pass rate over 98%, if your printhead can't be recognized, please feel free to contact us. 4.Each printhead has pass tested before we send it to you. please use it in confidence. Shipping takes from 5 to 23 days by Epacket. Product listing > Click Sold by Komada> Choose the option Ask a question . Log into Your Account > Click Your Account > Your Order > Find your order and click Contact Seller. 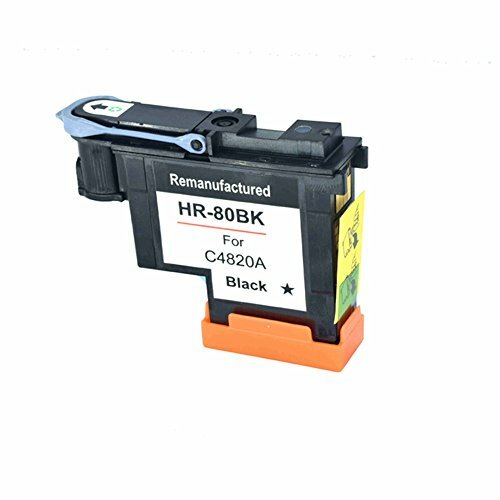 Content: Komada Compatible for HP80 black printhead with new updated chips can be recognized by printer very well. Good packaging: all printheads are individually packed in a plastic box which easy to use and store. And it can also prevent the cartridges from leaking or damage. Then all printheads are package in a Carton box. 3 Months 100% Money Back Guarantee.If you want to known more information about this item and have questions, please contact us through your Amazon buyer account.we will do our best to provide you High-quality service. View More In Business Paper Products. If you have any questions about this product by Komada, contact us by completing and submitting the form below. If you are looking for a specif part number, please include it with your message. By Desktop Publishing Supplies, Inc.
(12) Top of The Line Monroe Systems for Business Single-Ply Bond Paper Rolls, 20lb.